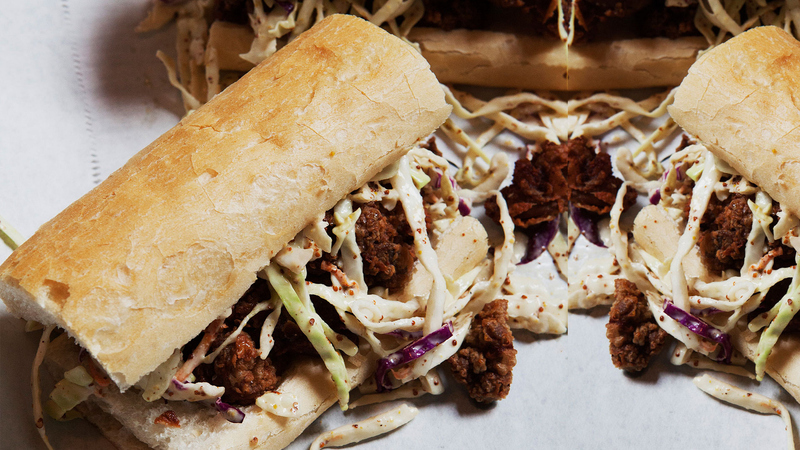 There's no better place for a Po' Boy than New Orleans! This traditional submarine sandwich from Louisiana can consist of roast beef, fried seafood, chicken or ham and is served up on baguette-like New Orleans French bread, known for its crisp crust and fluffy center. Yummy!